A daily backcountry driver that stands up to season after season of ski touring, the Black Diamond Route 95 offers premium performance on deep days while retaining the torsional stiffness to drive powerful turns in technical terrain and mixed conditions. 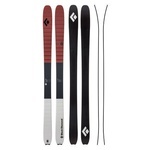 Built in Austria with a 95-mm waist, fiberglass layup, poplar wood core and flat construction for increased torsional stiffness, the Route incorporates many of the same design principles as our Helio Series, with an emphasis on durability that makes it ideal for daily use by dedicated backcountry skiers. 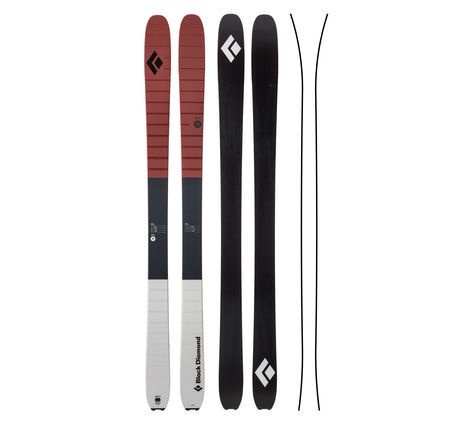 The rockered tip provides improved flotation both in deep snow and on the skin track.